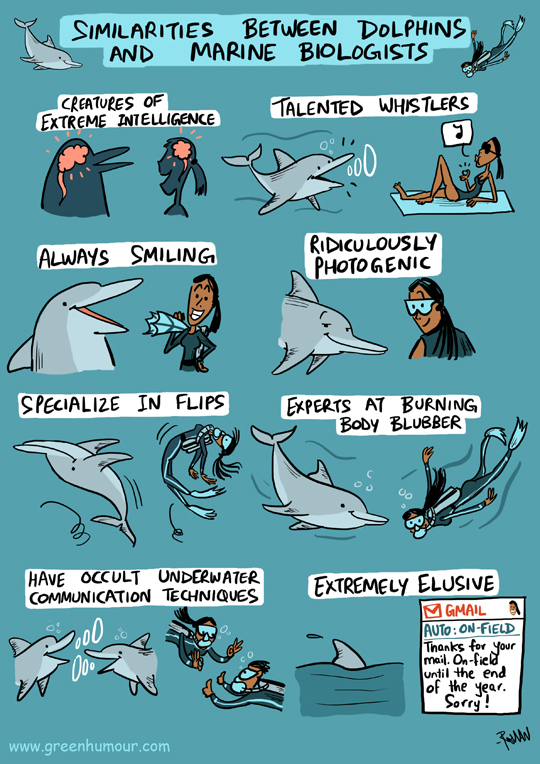 A comic about dolphins and marine biologists from my column with Mid-Day today. Dedicated to many of my friends who are marine biologists, but particularly to the lovely Asha De Vos, Sri Lankan marine biologist and pioneer of Blue Whale research, who I had in mind while drawing this comic! Do you have a marine biologist friend? Surprise him/her by gifting a print of the comic from my webstore here. (Email me on rohanchakcartoonist@gmail.com for orders within India).